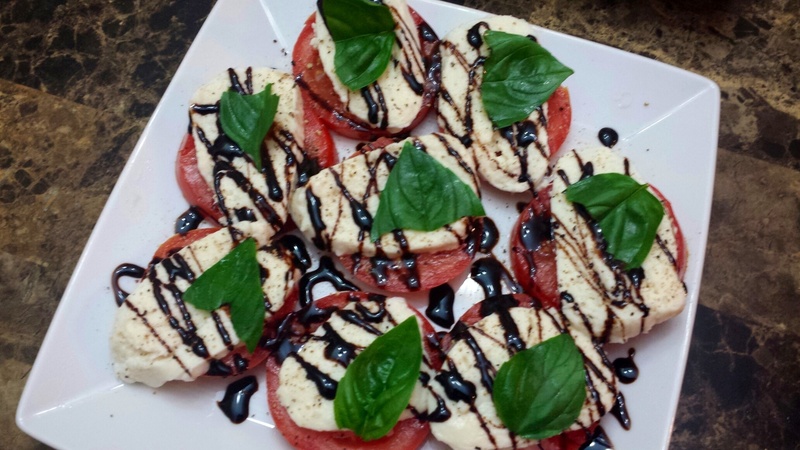 A delicious salad that celebrates the rich creamy taste of fresh mozzarella, juicy ripe tomatoes and earthy Balasamic Vinegar! 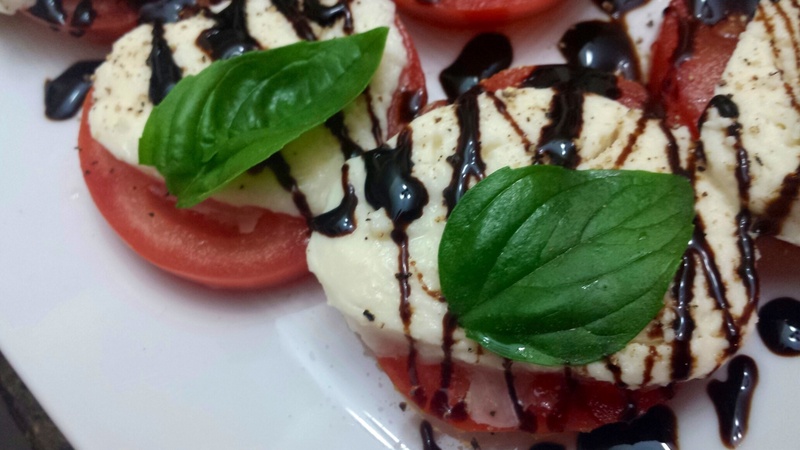 Slice fresh mozzarella and tomatoes (I prefer to use fresh ripe vine or beefsteak tomatoes). 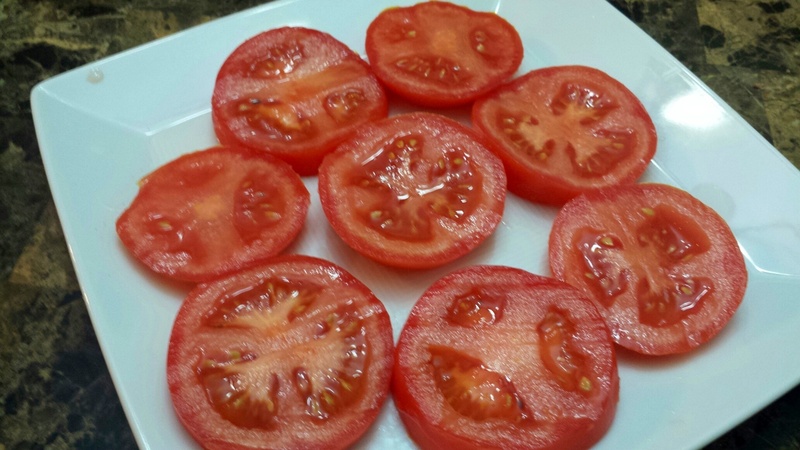 Arrange tomato slices on serving platter. Top with sliced Mozzarella. Drizzle generously with the Balsamic glaze. 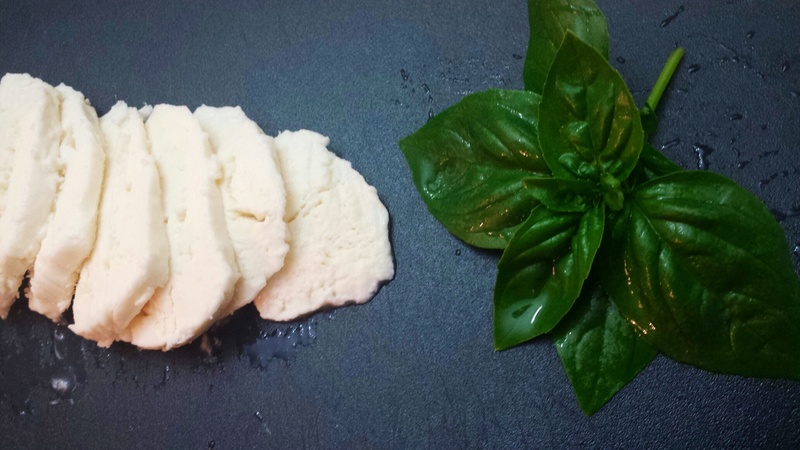 Top with hand torn basil…serve immediately! 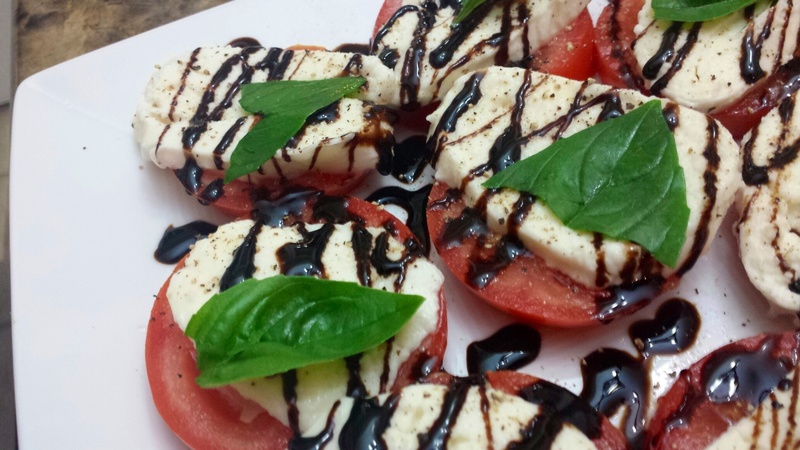 Bring 2 cups of balsamic vinegar to a gentle simmer along with 2 tbsp of brown sugar. Cook on medium low heat till it reduces to a thick sauce that coats the back of the spoon and becomes about 1/2 cup. Cool and store in an airtight container.